Cast in 18 karat yellow gold from a natural blueberry branch, the brooch is a One of a Kind piece that Paul designed and made for one of our customers in 2013. The berries are lapis lazuli. Then you will want to have a conversation with one of our assistants and then with our master jewelry designer, Paul Gross. As you talk, he may add more details to the sketch. For her 25th wedding anniversary, our customer decided to have her diamond reset in a ring individually designed for her by Paul. The spiral idea was hers, and she sketched out what she wanted. 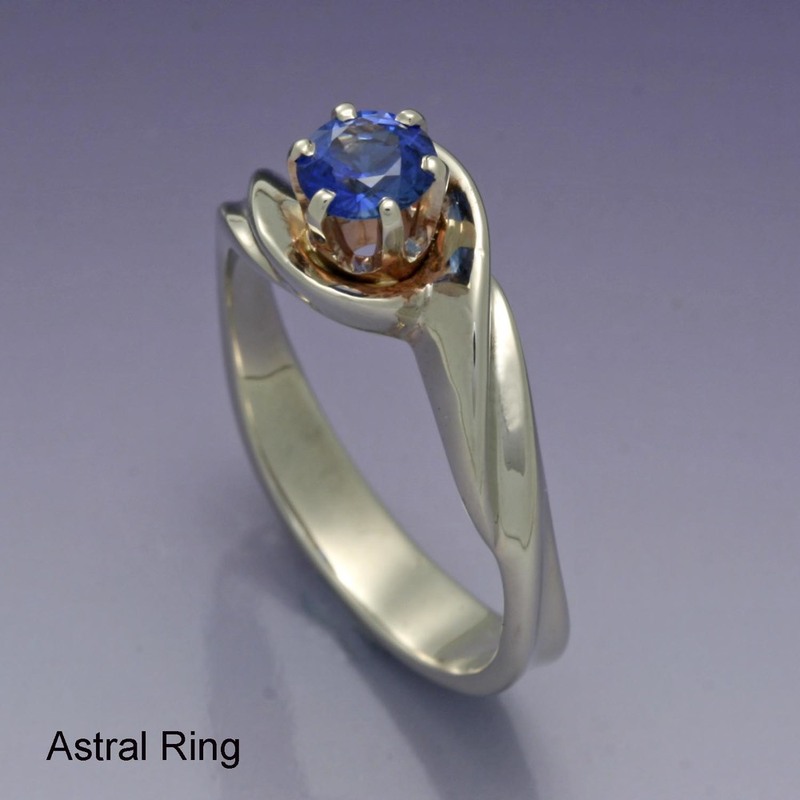 Originally the ring would have four colored stones set into the spiral, to represent her family members’ birthdays. Paul added notes to her sketch to be sure he would remember her details when he was carving her model. As he carved the first model, he made spaces for the four small colored stones [Link to Design Process]. At the same time, our customer was thinking that she wanted small diamonds instead of colored stones. Nothing needed to be changed at this point. Once she saw the model with her diamond in it and with small diamonds in the spiral, she thought it would be better without any side stones at all. Paul carved a second model with just her center diamond. She liked it that way. When Paul cast the ring, the wax model was burned out of the mold, and molten 18 karat yellow gold was forced into the mold in the casting process. And if our customer changes her mind after she has worn her ring for a while, Paul can add the small side gemstones anytime. That’s the wonder and magic of custom design by a master stone setter – Paul Gross at Designer Gold; in business in Hanover for more than 41 years. This drusy quartz stone had been sitting on Paul's bench for several months calling out to him to create a brooch. The cloud shape and color of the stone suggest stormy weather with a rain drop of fresh water pearl and lightning of 14 karat white gold, yet the moon and stars above promise a brighter day to come. As so often happens at Designer Gold, a young man came in to ask Paul to design an engagement ring for his girlfriend. She had visited our store, had looked on our website, and found that she liked two of Paul's limited edition rings: the Astral Ring and the Hope Ring. Bringing together the design elements in these two rings, Paul created a new limited edition engagement ring. We like to name our limited edition pieces -- and frequently ask our customers if they would like us to use their first names. In this case, this young woman, however, wanted us to name the ring after the occasion when her fiancé asked her to marry him -- the first day of spring 2012! Thus the "Equinox Ring" was born. For her daughter’s 21st birthday, one of our customers commissioned Paul to design and make a hinged bangle bracelet with 21 amethysts, her daughter's birthstone. Our customer ordered the amethysts from us. 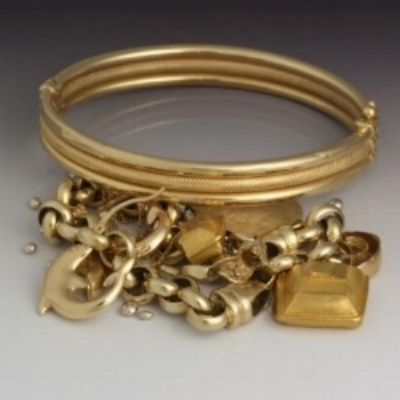 Then she brought in enough scrap gold and unused jewelry pieces from home to melt down and complete the project.